Ann Kercheville is President of Joshua Creek Ranch. 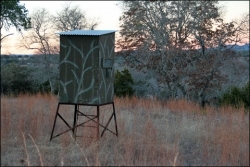 Located in the renowned Texas Hill Country just 45 minutes northwest of San Antonio and 90 minutes southwest of Austin, Joshua Creek Ranch occupies a uniquely diverse terrain including miles of Joshua Creek and Guadalupe River bottomland planted in fields of grain crops for prime upland and deer hunting habitats. You can visit their web site at http://www.joshuacreek.com. Ken is a technical writer and has spent the majority of his career documenting storage hardware and software products for start-up companies. Although start-ups demand long hours, he always finds time to get to the club and break some clays. Ken is not a shooting instructor and he is not a professional shooter. He’s part of the majority of people who love to shoot clays just for the sheer fun of it. Unless Lars Jacob is running dogs, wetting a fly line or turkey hunting, everything he does revolves around shotgunning. Jacob has been teaching the finer art of wingshooting for over 30 years. He has run programs and gun rooms for the Dutch River Club, Covey & Nye and Orvis Company to name a few. Jacob is the founder and CEO of Lars Jacob Wingshooting, LLC and LJW Roving Syndicate. In addition to instruction, Jacob is recognized as one of the country’s finest gun fitters and recently worked with Perazzi’s Al Kondak to develop the Perazzi Ladies Sporter. He has a soft spot for side-by-sides and has introduced thousands of shooters to the nuances associated with shooting such shotguns. For more information visit www.larsjacobwingshooting.com. There, I said it. It’s out in the open. Who but the taxing authority that devised it would ever consider a retroactive tax rate increase a good thing? Certainly not a conservative thinker like myself. But such a thing actually happened back when President Clinton retroactively increased federal income tax rates in 1993. As the president made law with the stroke of his pen, the leader of our household declared we would NOT pay additional taxes, but instead we would work less and vacation more. That sounded like a great plan to me, as the prior few years had seen very little vacationing for our family since the opening of our year-round hunting/shooting resort. Some quick calculations determined that a month of vacationing would net us the same tax burden as the old tax rates, so destinations became the next order of business. It’s going to happen; or maybe it already has. If it has, there’s a VERY good possibility it will happen again. Yes, sooner or later, even if you are only half-way serious about shooting sporting clays, you will take lessons. And if you’ve already taken lessons, you will take more in the future. The questions are: When? What will motivate you? Who will you call? Operating a hunting lodge is a lot like managing a household of all boys where company is coming every day. Some of the visitors are like family who've been coming over for years. Some are new acquaintances we're anxious to know better. Regardless, company is coming, so everything must be at its best. That means, getting the household back in order from the guests who've just departed: laundry, house cleaning, menu planning, grocery shopping, lawn and grounds spiffing, and, of course, finding a spot to store the items that the last guests forgot to pack up and take with them. You can’t imagine the variety of items that are left at a hunting lodge by the boys who come for a stay. More than just the odd sock under the bed, we’ve found hunting boots, every possible layer of clothing, high-tech shooting glasses, gun cases, cell phones, laptop computers, and on and on. The greatest mystery is how some of these things can be left behind and never missed. Honestly, no one calls to claim them....and we’re talking about some highly desirable things from a hunter's perspective. 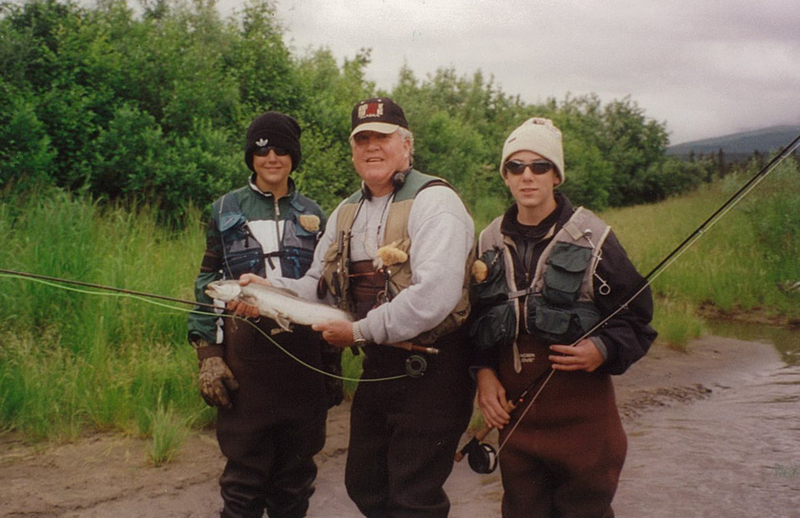 The day before departure on an Alaska fishing trip several years ago, we discovered that my husband, Joe, didn’t have a light weight summer jacket appropriate for the climate. Given that it was a sweltering Texas day in early July and the nearest shopping center an hour away would not likely be selling jackets, I suggested to Joe that he consider checking out the lodge’s lost and found for something he could use. I’d in fact myself been borrowing a fabulous Boss hunting coat for years on those rare frigid days in my deer hunting blind. Luckily, he found a navy canvas bomber style jacket that fit him fine and the “loan” was made for the duration of the trip. Joe Kerchivelle flanked by Joseph and Joshua Kerchivelle. The trout and salmon fishing were fantastic and so was the weather. In fact, it turned warm enough one day that Joe didn’t need his jacket, so he left it laying on the bank of the river while he did some wade fishing. Bear were active in the area and it so happened that a big brown bear wandered upon the jacket. He proceeded to have a frolicking good time with that jacket, tossing it around, giving it several good shakes and thrashing it with his paws. Needless to say, no one attempted a jacket rescue and the bear eventually got bored and moseyed away, leaving the jacket where it laid. Amazingly, the jacket came back home to our hunting lodge with only a shredded lining as evidence of its encounter. Months pass, and when a brisk autumn day arrived in the Texas Hill Country, I got a call from a San Antonio client who asked if he’d by any chance left his jacket at the ranch. He proceeded to describe the jacket Joe had borrowed for that Alaska fishing trip. Can you believe it? A jacket lays around in our lost and found for over a year, goes on an Alaska fishing trip, gets mauled by a bear and then its owner remembers where he left it. I told him we indeed had his jacket, that it had been on quite an adventure and had an amazing story to tell. He was enthralled by the jacket’s story and just wished he’d been in it except for the bear encounter. I assured him I’d have the torn lining repaired and give him a call when the job was done. I grew up in a rural area of deep south Texas in an agricultural community where, as a kid, I conjured up some pretty glamorous and exciting ideas about faraway city life. It’s no wonder I went to college in Dallas and stayed eleven years for a corporate career in Dallas and San Antonio. But in those years the lure of the city life wore thin and eventually wore out. The fates were good to me though and caused my path to intersect that of my intriguing future husband, Joe, who lived on a small ranch just outside San Antonio. His home was surrounded by acres of grassy fields and lightly wooded pastures, reminiscent of the openness where I’d grown up. The only thing better than his place was the man himself and his exhilarating enthusiasm for the sporting life, which was a whole new world to me. He introduced me to sailing, dove and quail shooting, deer and turkey hunting, duck hunting, and snow skiing. I wasn’t just an observer. I packed the spinnaker, shot, cleaned and cooked birds and deer, and came down Aspen Mountain my third day on skies. I have a Remington 870. I love that gun. It’s a work horse and it’s especially great for hunting sea ducks. With its synthetic stock and the non-corrosive coating on the barrel, I can take it right from the ocean to my bathtub and wash off all of the salt. My wife is especially happy when I do that. The shotgunning websites and magazines are full of stories about the pros and lots of "How Tos" from instructors. I can read all about a pro's experiences or how a top-notch instructor recommends approaching a particular target. Now, there's nothing wrong with any of this, it's valuable information that I read and use everyday. It’s a “Wellies Morning.” That means it’s raining, an always welcome circumstance in this Texas Hill Country. It’s a day to don those Wellington boots if you’re destined for the field whether shooting or not. I’m approaching one of those BIG milestone birthdays. You know, one of those that ends in a "0", one where the total of your past years is a higher percentage than the total of your expected future years. One that makes you stop and think about your life: past, present, and future. The Baserri Chronicles Part II: New shotgun companies are a rarity these days, and so when one comes along we’re eager to track its progress. That’s the idea behind our series, the Baserri Chronicles. In this second installment, we see how Baserri Shotguns is embarking on a new shotgun for women called the Mari Bella. Our friend Silvio Calabi gave us a heads up that the book he co-wrote called “Hemingway’s Guns: The Sporting Arms of Ernest Hemingway” was about to be published. Having seen some of the chapters in advance, we were excited about the new information revealed from the in-depth research. Silvio gave us permission to run a chapter titled “The Winchester Model 21 Shotguns,” which appears following the introduction below. Michael McIntosh, one of America’s foremost shotgun writers died on Saturday, August 14, 2010, at his home in Iowa. He was 66 years old. Other people called him Mike, but I never did. 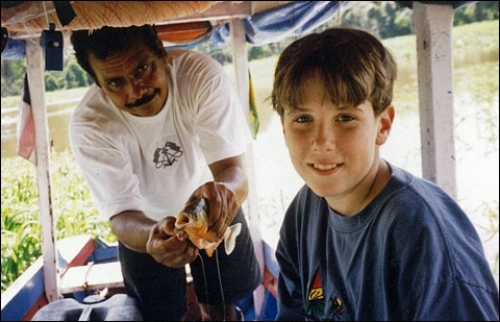 To me, he was always Michael – and if a finer friend than Michael McIntosh ever existed, I have yet to meet him. This story is the first in an occasional series called “Confessions of a Target Setter” where we speak with the men and women who try to confound us at every turn in sporting clays. It’s August 27, 2010 and the summer heat wave that wracked the country seems to have finally broken here in the hamlet of Wellsville, Pennsylvania – home of Central Penn Sporting Clays. Owner Harold Stoneberger and his young helper, Ben Rickland, are scrambling to set targets for a 3-bird shoot the next day, and I’m here in the field with them as they share their tricks of the trade racing from one trap machine to the next, wrench in hand.